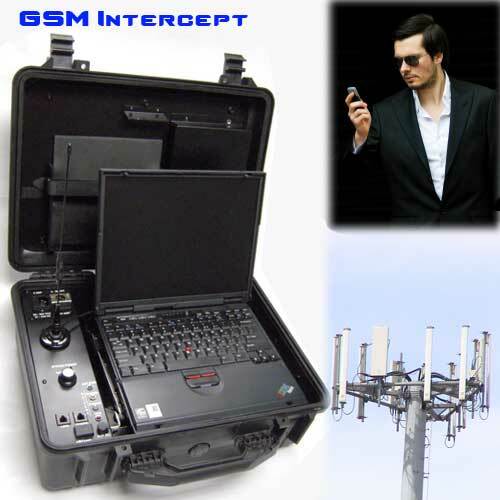 The GSM Intercept was the first real time GSM interception system designed to provide world wide government and law enforcement communities with an investigative tool in the fight against terrorism. Today, more Law Enforcement surveillance users opt for the upgraded GSM Intercept with communication control and forensic features. Relying on the GSM Intercept, Law Enforcement and Government Agencies meet the needs for lawful interception of cellular telephone conversations. The HSS Group supports Law Enforcement with upgraded technologies for real time interception, including the ability to track and monitor the activities of suspected terrorists and criminals. This includes the ability to conduct Cell Phone Tracking and locating within a range-driven framework so that surveillance officers may work in a city or country side area in order to monitor and track their targets. This version of GSM Interception for the A5.1 protocol deciphers the encryption format used to secure GSM A5.1 communications. 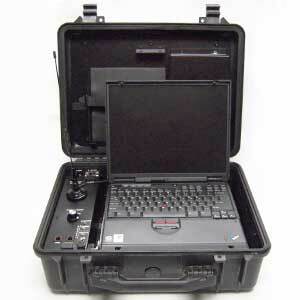 HSS's GSM monitoring products are, to our knowledge, the first covert mobile intercept during the 1990s. Today, our "off the air" real time intercept makes this the earliest of its kind to break the GSM A5.1 encryption algorithm with all the forensic features it covers. The system comes in a scalable framework that allows each Government user to configure according to their surveillance requirements. The core system comes in a case with software and hardware modules. GSM interception may take place on both 2G and 3G environments, depending on the needs and options the system is requested with in order to assist Government and Police investigations all over the world. The dedicated Passive A5/1 and A5/2 Decipher is also available in a centralized configuration where conversations are processed through connect to the centralized A5/1 deciphering equipment via data-link or GPRS. This Decipher can handle rerouted calls from up to 8 remote GSM interceptors. These rerouted calls are then deciphered and returned to the GSM Intercept's transmitting units for monitoring and recording. The requirements of a central PC configuration are determined by taking into consideration the number of receiving and recording channels needed. System Design: Here at HSS, it is understood that no two Cellular Phone Systems are alike. They differ by manufacturer, installation date, demographic (country of use), infrastructure and component integration. No two intercept objectives are alike. They differ by client, agency, urgency, risk factors, tactical situations, and geopolitical dynamics. Because GSM Networks vary from country to country, a customized GSM Intercept can incorporate characteristics of the local network.